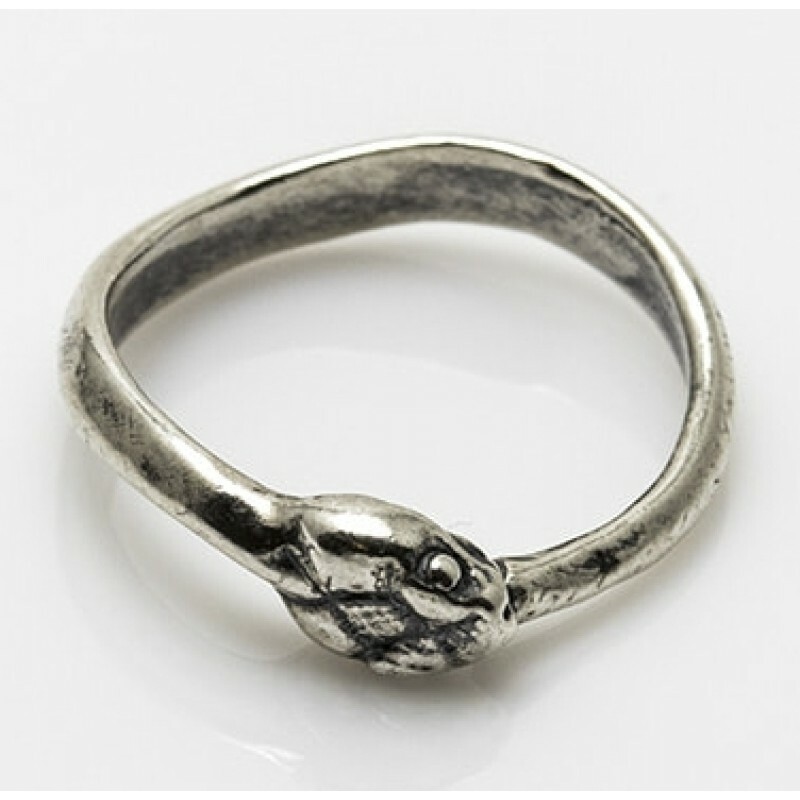 The Ouroboros or snake swallowing its tail, is an ancient symbol of eternity and the circle of life. Because of the association with Earth and the underground where Ouroboros spends the winter, she embodies the eternal life force in its circle of birth, growth, death, decay and rebirth. Ouroboros also represents the bodily force of the kundalini as it rests in the first chakra and also the serpent Ouroboros, forever eating its own tail while continually regenerating itself. 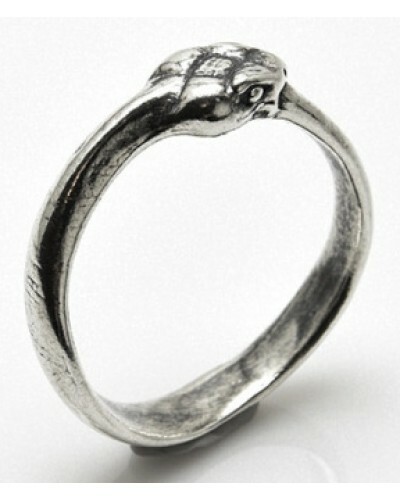 This beautiful sterling silver ring is hand made in the USA. 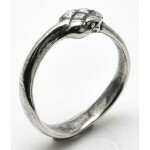 Item Number: WL-R536 | Approximate Size (Inches): 0.50 wide x 0.50 deep x 0.50 high | Approximate Shipping Weight: 0.25 lbs.